It's hard not to feel for the Giudice family these days. I understand that Joe and Teresa Giudice had to take accountability for their actions, but it is still sad to see a family ripped apart. Teresa Giudice served her prison sentence in 2015, and now Joe is currently locked up behind bars. On the bright side for them, this means that the family is closer to this ordeal being over. 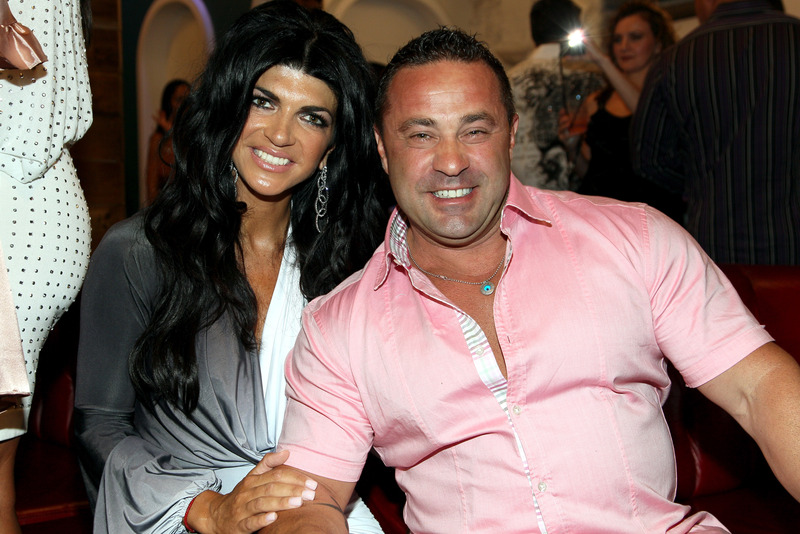 While Joe still has a long time left on his sentence, I'm sure Real Housewives of New Jersey fans want to know what will happen to Joe Giudice when he's released from prison. Joe's release is still a long time away. Joe went in for his 41-month prison sentence in March; although his sentence has been reduced by five months, according to the Federal Bureau of Prisons website. This means that he is set to be released on March 14, 2019. But what happens after that? The scariest thing that Joe will face after prison is the possibility of deportation. Joe was born in Italy, and never became an official American citizen even though he has been in the country since he was one. Before he entered prison, Joe told People of the possibility, "I'm not even worried about that as far as that goes. That, we'll worry about when I get out." It's hard to say what else will happen when Joe is out since it really is a while away, but perhaps Teresa Giudice's post-prison life can give some clues since they were sentenced at the same time and had a lot of similar charges. Teresa was on house arrest from the time she was released on Dec. 23, 2015 to Feb. 5, 2016. It would make sense to surmise that Joe would also be on house arrest for a similar amount of time, if not longer since he is serving a lengthier sentence than his wife did. It also makes sense to guess that Joe will be on probation since that is usually customary after prison sentences and Teresa also is on probation. One aspect about Joe's release that cannot be answered based on precedence with his wife Teresa's experiences is Joe's two-year driving ban and whether it will continue after his release. In April 2015, a judge told him "If you so much as back down your driveway that will constitute a violation of the conditions of your release, of your bail, and it will result in you being remanded immediately to Passaic County Jail." While the specifics of Joe's life after prison are not yet confirmed, I'm sure that whatever happens, he will be happy to be back with his family.